I Was The Host Of The 1992 Nickelodeon Game Show ‘Slip ’N Slide Haircut’ Until A Bunch Of Kids Died And It Got Canceled. Ask Me Anything. Hello. I’m Claudia Pla’ant. 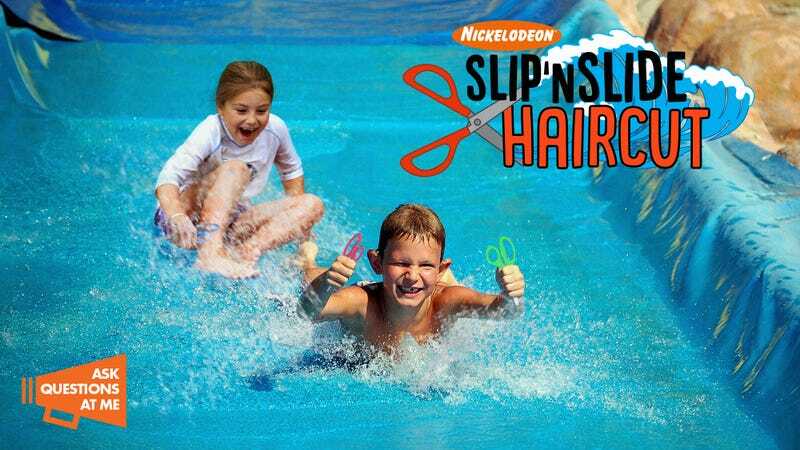 In 1992 I hosted a children’s game show on Nickelodeon called Slip ’N Slide Haircut. The show lasted for five episodes before it was canceled due to many children on the show dying and low ratings. The show was, in my estimation, the greatest television show of all time, and the five episodes could arguably be strung together into the greatest feature-length film in the history of cinema. I’m online answering your questions about Slip ’N Slide Haircut and what it was like to host the show! Ask questions at me in the comments!